and a half-plate assorted a-arthropods (F)! The process is fairly straight forward (at least on paper! ): Animals are collected and identified. Those species relevant for barcoding are selected, and a specimen (=1 animal) is chosen to be barcoded. We take a small tissue sample from the specimen, and keep the rest of the animal as the barcode voucher; if the need should arise to check if it really is what we initially thought, it is crucial to be able to go back and check the animal again. The tissue samples are collected in wells on a plate like the one pictured above, and the information about the animals – where they were collected, who collected them, what species they are, who identified them and so on is uploaded to BOLD together with images of the animals. On Monday we shipped a new batch of plates – as (attempted) illustrated in song above. Included is material from several of the Norwegian Taxonomy Initiative projects (artsprosjekt) that are happening at the University Museum of Bergen. 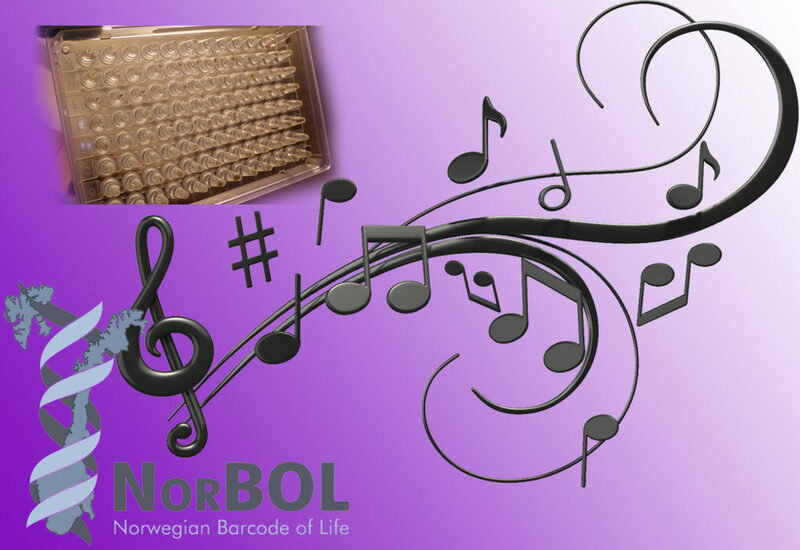 We are coordinating the efforts on marine life, but are of course also facilitating the NorBOL barcoding of other organisms that take place at the UMB. 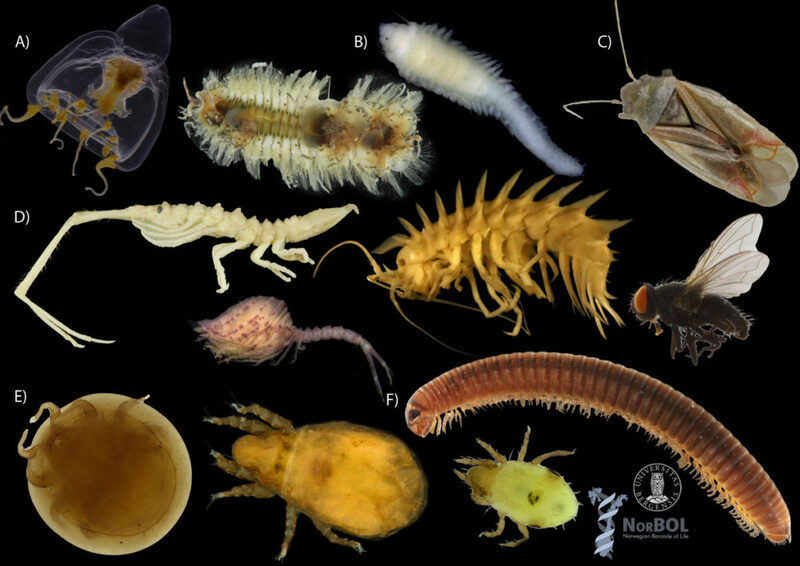 There are animals from NorAmph (Norwegian Amphipoda), Hydrozoan pelagic diversity in Norway (HYPNO), Orbatid mites, and the insects found associated with nutrient rich marshes in Hedmark in this shipment. We have also prepared several plates of Crustaceans collected and identified by the Norwegian marine mapping programme Mareano – one of the great contributors of material to the collections. Now we wait for the lab to process them, and for the genetic sequences to be uploaded to BOLD – fingers crossed for many interesting results! This entry was posted in 2018 december calendar, HYPNO, MAREANO, NorAmph, NorBOL, Norwegian Taxonomy Initiative, Photography and tagged Amphipoda, barcoding, Crustacea, DNA-barcoding, Hydrozoa, marine animals, oribatida on December 7, 2018 by katrine.